At this moment in time, over one hundred years after its first publication, “Dracula” is so ingrained in the cultural conscious that it seems hard to imagine a time when the tale of the blood quaffing Count did not exist. In its seven year gestation the story began life as a stage play with the choice role intended for the actor Henry Irving whom author Abraham (Bram) Stoker revered and managed. Bram was crestfallen when Irving passed on mounting the play but completed his vision as a novel which has never been out of print since. The eventual adaption of the book via stage and film versions has since made Count Dracula a familiar character to nearly everyone on the planet. 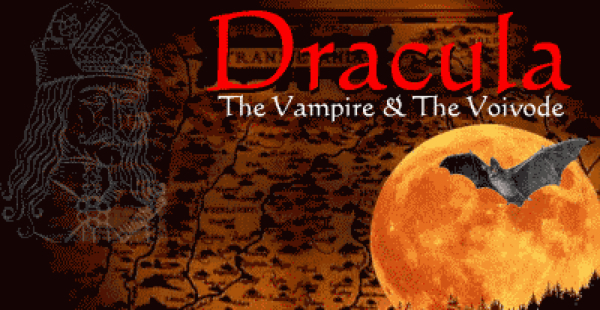 “Dracula, The Vampire and the Voivode”, a documentary DVD from Virgil Films and Walking Shadows, is an enjoyable look at both the mythological entity of Stoker’s imagination and the actual historical figure, Vlad Tepes, who has become intwined with it. Part biography and part travelogue it serves as an excellent visual companion to Dracula overviews like David J Skal’s “Hollywood Gothic” and Florescu & McNally’s “In Search of Dracula”, though it stands to refute some of the assumptions of the latter. The film was written and directed by Michael Bayley Hughes. Viewers are taken on a scenic jaunt through the areas of the world intrinsically tied to the lives of author Stoker and Voivode (Prince) Vlad, as well as key sights described in the book including the 199 church steps in Whitby, England and the town of Bistrita where Jonathan Harker spends the night before his trip to Castle Dracula. We also see The Stoker’s residence at 27 Cheyne Walk in London’s Chelsea section (neighborhood of contemporary author Oscar Wilde and one hundred years later Rolling Stone Keith Richards), and Bram’s family home in Dublin Ireland where he spent a sickly childhood. Throughout the film members of worldwide Stoker and Dracula societies lend their scholarship and insights to the settings. I was fascinated to hear commentator Tina Rath suggest that Pre-Raphaelite Artist Dante Gabriel Rossetti’s scandalous exhumation of his wife Lizzie (nee Siddal), in order to retrieve a book of poems he buried with her, likely became tied to Lucy Westenra’s exhumation/staking, as well as a plot point in another of Stoker’s stories, “The Secret of the Growing Gold”. Transylvanian Society of Dracula President Nicolae Paduraru describes the finer points of the folkloric stregoi, a ghostly “negative emanation from the grave”, versus the physical figure of the vampire and their cultural lines of demarcation. The film also candidly deals with the dichotomy of historical veracity versus bottom line tourism necessitated in post communist Transylvania, the “land beyond the forest”. In actuality, Stoker never visited that part of the world but instead relied heavily on travel tomes by authors like Emily Gerard, the wife of a Romanian army officer who spent two years there, for his information. Combining a freewheeling imagination with his civil service skills for cataloging and description, Stoker’s interpolation of folklore, sense of place, and creative license has led to many fact versus fiction conundrums, which the documentary attempts to untangle. As we see commerce often trumps accuracy. The building of a tourist placebo, the Stoker inspired Castle Dracula hotel, at the Borgo Pass in Romania is just one example of the life imitating art circumstances that have followed in the story’s path. On the down side, the DVD is without marked scene selections, so navigating for specific repeat play is daunting and it seems a shame its vistas are presented in 4:3 aspect ratio rather than widescreen. The “bonus slide show” is superfluous at best, giving an unfortunate “sell-through” feel to what is otherwise an excellent product. Ah, Fall has arrived and it was fun to get the witching season off to such a great start. Minus the few missteps mentioned above, I wholeheartedly enjoyed this dual biography, especially the description of Stoker’s writing process and the “where ideas came from” points of view. In fact it led me to purchase a copy of “Bram Stoker’s Notes for Dracula” as transcribed and annotated by Robert Eighteen-Bisang & Elizabeth Miller. I can recommend the film for both its historical depth and entertainment value as an addition to the video libraries of vampire aficionados and novices alike.